Get the Bates Police Tactical Ankle Boot today. Some good reviews. One of the better selling Boots from Bates which is comfortable and lightweight. The main part of the boot is made from 1680 denier nylon with a built in breathable mesh lining. The sole of the boot is made from an anti resistnat slip rubber texture. The boot has been made to give it that sporty action feel. It has a water resistant outer linning, but is not fully waterproof. 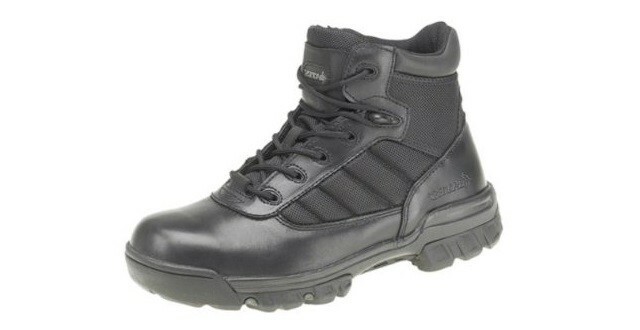 The price of this Police Boots feels a bit expensive compared to other makes and models which are available. If, however, Bates is the Boots maufacture for you then this is one of the better prices we have found online. The Bates Police Tactical Ankle Boot. It has some good reviews. See website for full details.